The Course Guide, an online publication designed to give students information for making informed registration decisions, will be retired as part of the Upgrade. In addition to resources such as course descriptions in the University catalog, after the Upgrade is complete, faculty, instructors, and their proxies will be able to include a URL in the Class Notes. Students will see this information in the Class Search results. The URL can link to a departmental website, a course website, or other public location where students can access information about the course. Entry of the URL for more course information. During the term, faculty, instructors and their proxies can update the link in the Faculty Center (accessed in the new MyU). 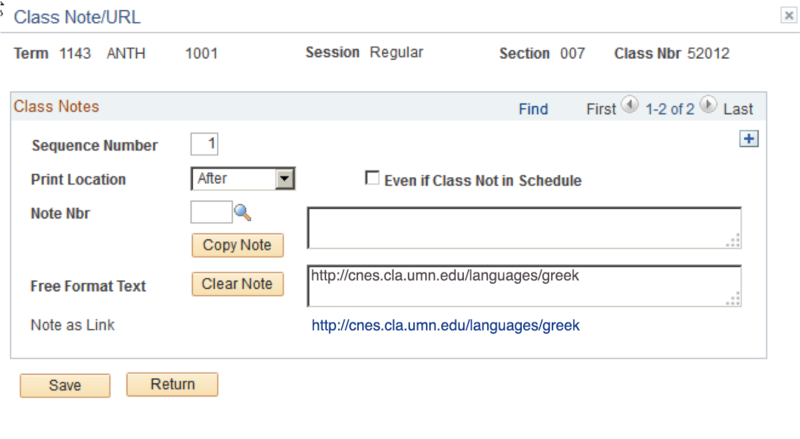 Departmental class schedulers can update the link at any time in the Collaborative Class Scheduling page. It is important to note that the information currently in Course Guide will not automatically be transferred to Class Notes. What students will see in a class search. 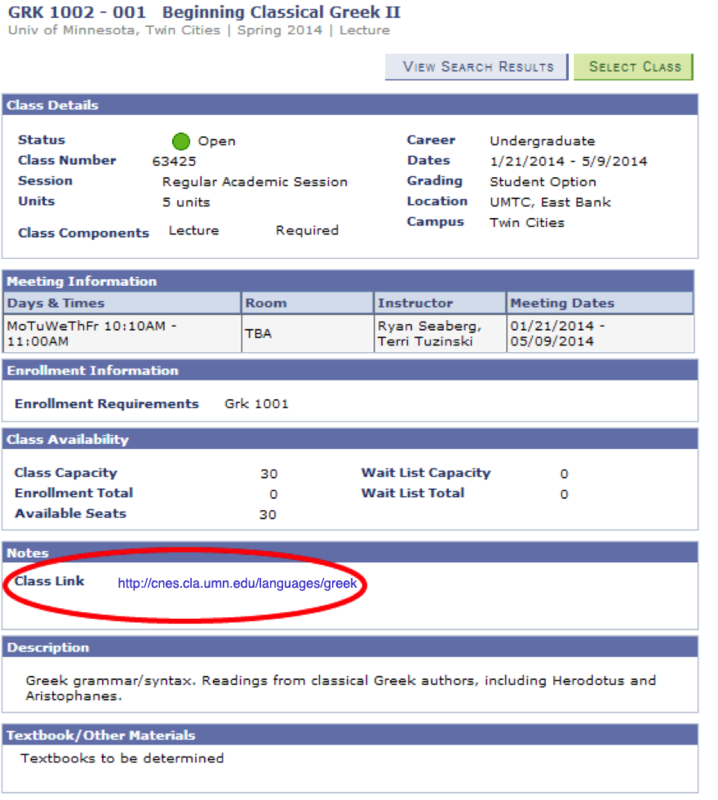 In addition to the link, the course description from the University catalog will also display. Course Guide will remain available to students until the Upgrade is complete. If you have questions regarding the retirement of Course Guide or the new Faculty Center, email upgrade@umn.edu. Will it be possible to set subject-wide (like for all PSY courses) proxies? How long will proxies last-- will they have to be reset each time the faculty teach that course? It will not be possible to set subject-wide proxies like you describe. The proxy needs to be set up on each section of each class, but the information will be rolled forward like-term to like term. Understanding that this is a significant investment of effort, we have been discussing it with departmental schedulers since last spring and collegiate administrators since the summer. We've been recommending that this information be entered in the current system as time allows now so that it ready at go live.